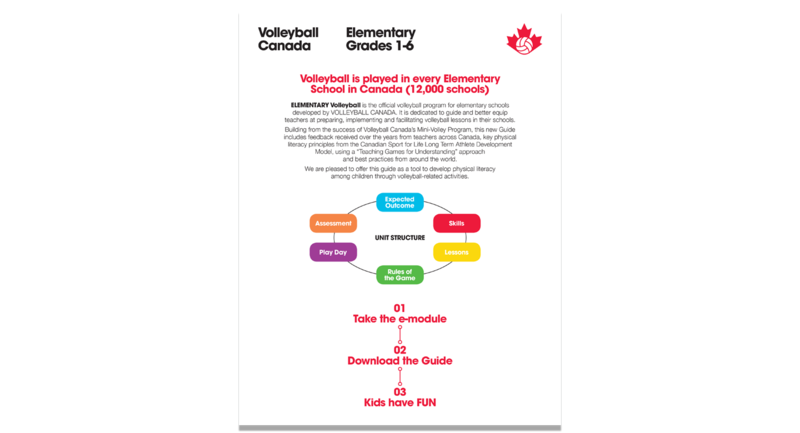 Twofold Creative was asked to design the Elementary Volleyball Teacher Guides. The creation of the 150 page english guide was done first, followed by the french guide with the same brand guidelines. The colour coded side margins were added for easy access to the sections. A full page image was used to highlight the start of a new section along with a bold sans-serif typeface for the headers. The infographics were designed to coordinate with the other design elements. The result is a simple publication with ease of readability and usage. 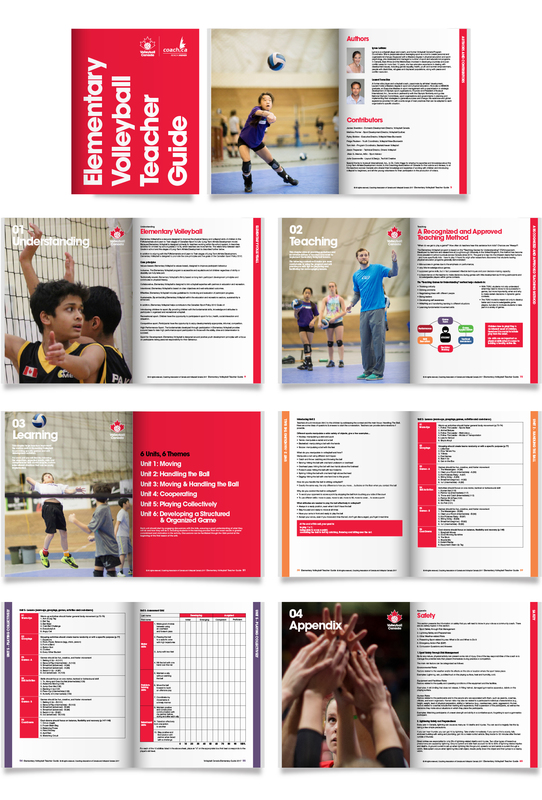 Along with the guides, a promotion was designed in order to inform teachers.